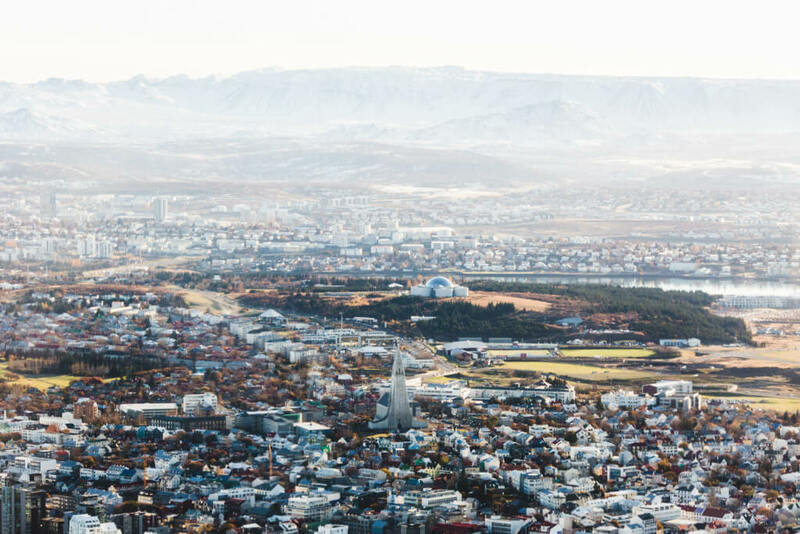 A short-and-sweet exploration of Reykjavik's vibrant cityscape and the mountains that surround the world’s northernmost capital. 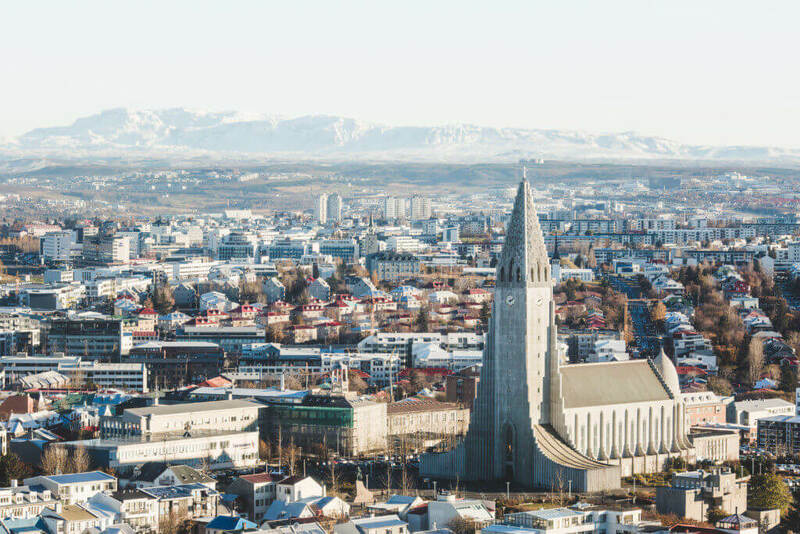 A short-and-sweet exploration of Reykjavik’s vibrant cityscape and the mountains that surround the world’s northernmost capital. 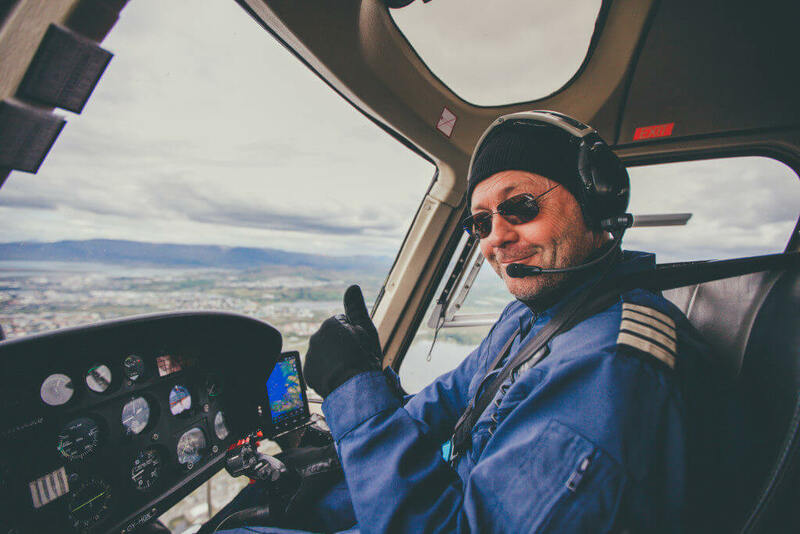 As we take off smoothly from the airport, you’ll see how quickly the city gets smaller and smaller beneath us, with every turn of the helicopter’s wings. 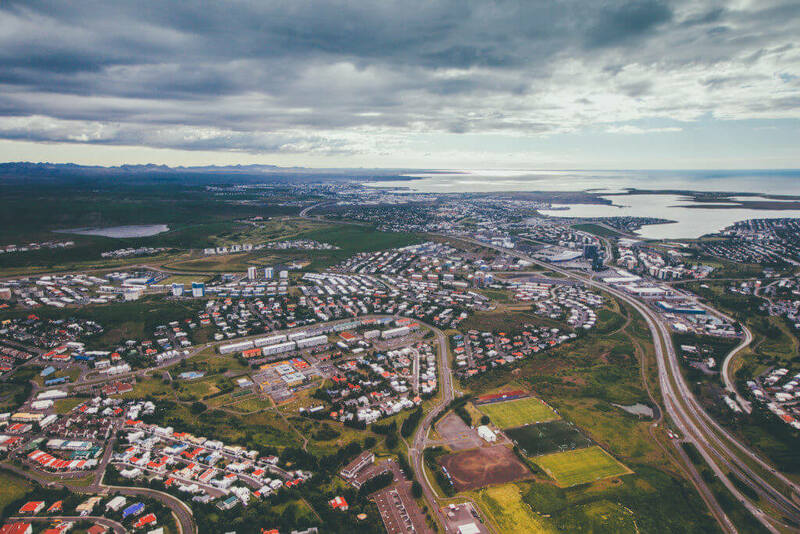 Further into the tour we land on a nearby summit where you’ll have the chance to capture a silent panorama of the vast blue ocean that hugs the city shore and catch sight of the small islands scattered in the distance. You’ll see the crumbling mountains behind you that, with their grandeur, might simply take your breath away… as well as the steaming volcanic hillsides that give this “Smokey Bay” its nickname. 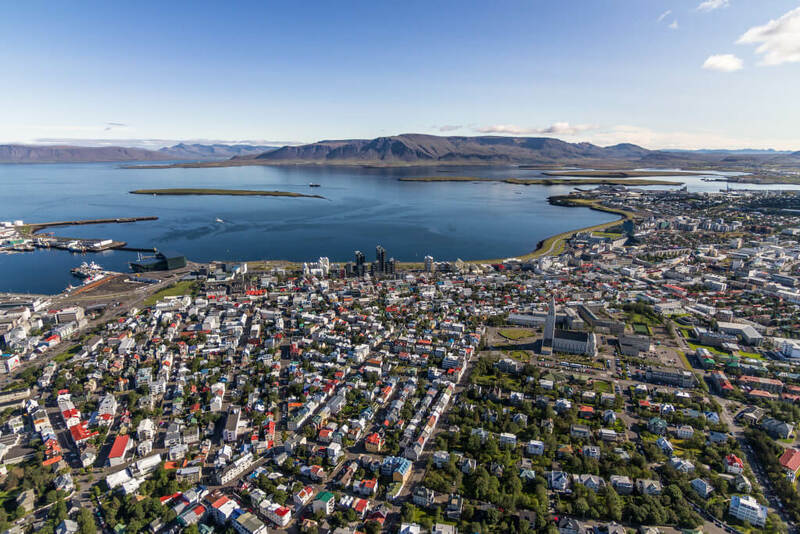 From the top of the mountain, you’ll gaze over quaint and colorful settlements that sprawl out in the distance and into the vast Arctic and beyond.